The building sector cannot be overlooked in any vision of a sustainable future. Buildings and infrastructure constitute the largest consumer of natural resources. During their life time, buildings also consume a tremendous amount of energy. The sector constitutes about 40% of total primary energy use and 30% of annual anthropogenic greenhouse gas emissions (UNEP Sustainable Buildings & Climate Initiative 2009). As such, it is imperative that buildings of the future are designed for sustainability. To achieve this, a holistic approach considering sustainable aspects throughout the entire building life cycle must be adopted. First, energy is required to extract and process raw materials to make construction materials. The products are transported to construction sites and that dispenses further energy. As a result, the use of local materials, recycled materials or alternative low-embodied energy materials will help to offset energy use at this stage. 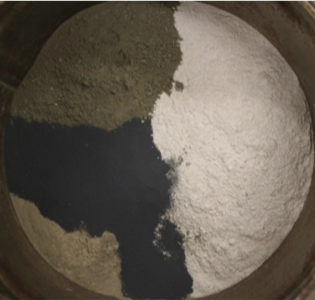 For instance, cement which is used as the binder in concrete and is energy-intensive to produce might be replaced by industrial wastes such as slag or fly ash (Figure 1). Also, recycled concrete aggregates from demolition might be used as replacement for virgin aggregates in making concrete. More time should also be spent in the design process of buildings to ensure minimal heat losses or gains depending on climate conditions. This can be achieved by improving insulation and airtightness of buildings. Improved building orientation and shading will also help in reducing building thermal loads. This strategy should be augmented with passive design features, such as those employing large windows to reduce artificial lighting, thermal storage of solar energy in thermal mass of buildings (thick concrete walls) for heating or natural ventilation. Optimized cooling or heating systems to match demand, the recovery of waste heat and renewable power generation can further enhance sustainability. However, it is important to note that the design and construction costs of buildings with an emphasis on sustainability are generally higher than for conventional buildings. Energy savings over the life of the building can offset these increased costs, though the return on the upfront investment can vary depending on projects. For instance, through feasible energy-efficiency measures (lighting, wall insulation, improving systems of heating, ventilation and air-conditioning, etc), it was found that the state of Texas could save $3.1 billion in the commercial sector and another $7.5 billion in residences annually by 2030. This is translated to net savings of $760 per household, and over $11,000 for an average size commercial building (Environmental Defense Fund). There are also indirect benefits to sustainable designs, such as the improvements in thermal comfort associated with natural ventilation. For example, because of behavioral adjustment and psychological adaptation, occupants in naturally ventilated buildings were found to be more tolerant of a significantly wider range of temperatures. 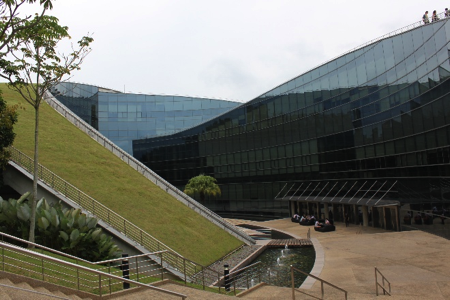 Figure 2: This unique building in Singapore implements green roof to lower heat gain into its interior. Even if passive designs such as natural ventilation are implemented in buildings, HVAC (i.e. a system of heating, ventilation and air-conditioning) cannot be totally eliminated and a mixed mode of the two systems is generally necessary to ensure a year-round operation and good health of users in case of extreme weathers or pollution from outside air. It is this operational energy that represents a large chunk of overall energy use throughout the entire life cycle of buildings. For typical buildings, the operational energy is generally many times larger than embodied energy. As such, reducing operation energy is critical and a more efficient heating, ventilation and air-conditioning (HVAC) system will help to limit the overall energy use. To further save energy, smart-building concepts may also be introduced. Devices may be installed to monitor and control mechanical or lighting systems. Sensors may allow for a seamless interaction between HVAC or lighting systems and users. This should further enhance user comfort. Another means of reducing overall space heating or cooling requirements is through personal comfort systems. Chairs embedded with a heater/cooler can provide local thermal comfort and energy savings. It is estimated that these new tools can cut natural gas use by 39 percent and electricity use by 30 percent for heating, ventilation and air conditioning in typical California commercial office spaces. 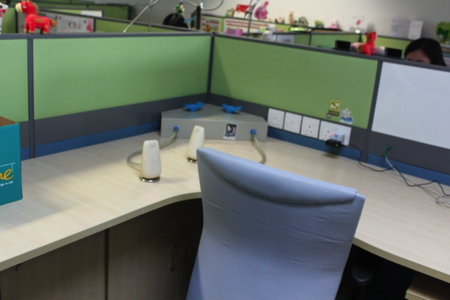 Personalized cooled air supplies or personal lighting can similarly be implemented at individual work stations in offices (Figure 3). Another interesting concept is compact living or multi-functional space which may also be implemented for buildings of the future to reduce space required for heating or cooling. If size does not matter, a bedroom and living room may share the same space. However, this will require a paradigm shift in both architectural and industrial designs. If no energy is saved at all, at least part of the energy required for HVAC and lighting can be obtained from renewable energy sources such as photovoltaic (PV) or hydropower. Buildings also require frequent maintenance within their lifetime, including new fittings and façade replacement. One of the most costly problems is structural deterioration of the building due to environmental effects such as frost action, carbonation or ingress of aggressive ions when concrete is exposed to moisture. For instance, reinforced concrete structures along the coastline are susceptible to corrosion due to chloride penetration into concrete. 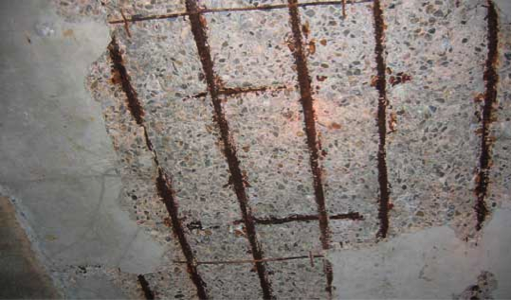 Corrosion of reinforcing bar causes concrete spalling (Figure 4) and this leads to structural deficiency. More durable materials and a “design with durability” approach are prerequisites to avoid this problem. Then, when buildings become functionally obsolete and require replacement, their elements may be disassembled and integrated in new designs. The concept of sustainability in buildings is far reaching and improvements for sustainability can be done at various stages of a building’s life cycle. However, the building sector is slow to accommodate changes. As a result, it is important that clients, architects, engineers and authorities work together to embrace the concept and open up to new ideas and design implementations with grace and pace. Rotana Hay is a 2011 fellow of the Fulbright Science & Technology Award, from Cambodia, and a PhD student in Structural Engineering, Mechanics and Materials (SEMM) at the University of California, Berkeley.